As healthcare providers continue to compile more electronic data and rely heavily on IT infrastructure, CIOs are evaluating the shift towards a variety of modern data center solutions, including remote hosting and cloud services. However, the process of executing that strategy and moving applications is a major obstacle to overcome. Even the smallest hospitals host hundreds of unique applications in a 24X7, always-on environment. Therefore, it can be a challenge to efficiently move various applications that have different vendor sources, application types, ages, infrastructure requirements, operating systems and versions. 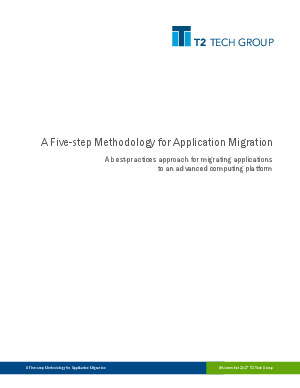 This methodology calls for an upfront migration assessment along with a five-step process that teams can follow to migrate one or multiple application groups at a time. By providing a repeatable best-practices strategy for organizations to group their applications and then migrate them efficiently, the methodology provides a way for organizations to avoid operational disruption and save on costs when moving to a new computing platform.